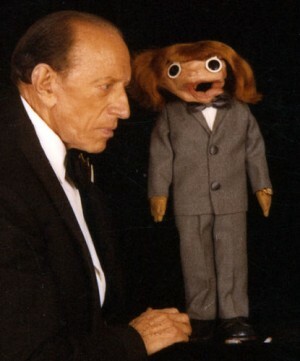 One of the legendary performers in the history of show business was a Spanish ventriloquist popularly known as “Senor Wences” (though born as Wenceslao Moreno). He had a very successful career of eight decades, through performances around the globe on state, in films and on television. His success was based not only on great talent but also on how he responded to the vicissitudes of fate. He responded to his own misfortunes and setbacks with humor and creativity, finding ways to live successfully with life as he found it and all the things that can go wrong in a life or career. He actually began as a bullfighter in Spain. That was the plan. But that all changed when he was gored in the hand. (Ouch). Among his doctor’s instructions was the need to exercise that hand. How might he do so outside of the bullring and still perform for an audience? Well, juggling turned out to be one of his useful forms of exercise…and turning the hand into an animated puppet (via wig and lipstick for a mouth) was another. Soon he was exchanging comedy repartee with “Johnny,” with some juggling skills demonstrated on stage as well. A second “assistant” onstage was Pedro, a full length figure with whom he conversed as well. Things seemed to be going well in his career again until disaster struck another time. A train he was riding in had an accident. And the figure of Pedro was destroyed completely—except for his head! 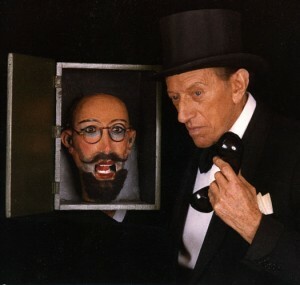 As Senor Wences had a booking that night, he put Pedro’s head in a box and brought it onstage that night. Amazingly enough, audiences found this head and voice in the box twice as funny and fascinating as they did before. And so instead of replacing the body, Pedro in the box was an expected part of the act throughout the rest of his career. To me, when I think of Senor Wences, or watch a routine on YouTube, I see not just a great performer, but also a life lesson in living existentially. It’s not just what happens in our lives that tells the story. It’s what we do with it.